students at Hawaii Technology Academy. By partnering with Friends of HTA, individuals and organizations become champions who are making a difference in the lives of more than 1,000 children across the state. 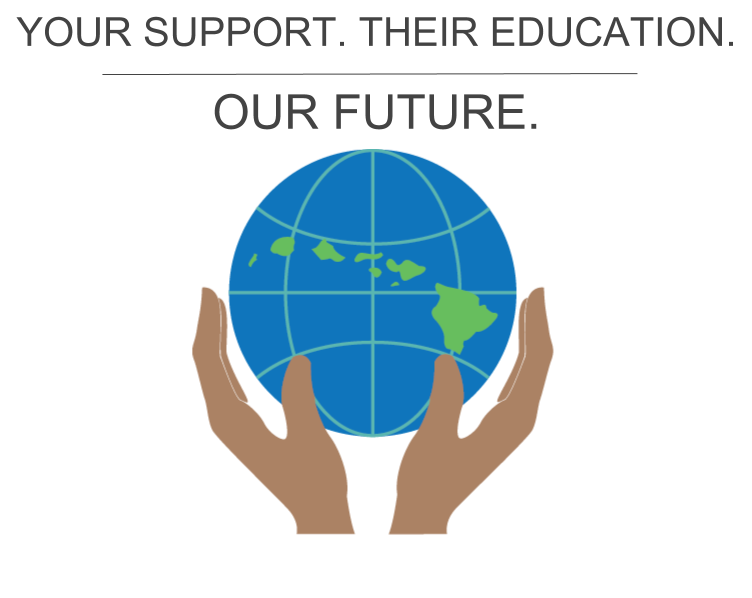 These champions and their support make it possible to provide public school students with a unique blend of technology-based and face-to-face instruction.Friends of HTA asks you to consider providing a meaningful financial gift in support of Hawaii Technology Academy. As a public charter school, HTA is tuition-free, and enrollment is open to public school students across the state. 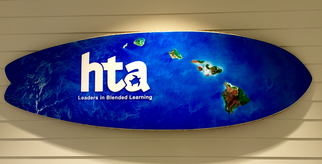 The many qualities that set HTA apart—blended learning, exceptional faculty, a computer loan program, award-winning robotics program, and other enrichment opportunities—all have a cost. HTA is committed to offering these educational resources to its students while minimizing any fees to its families. To make this happen, HTA relies on the generosity of alumni, parents, faculty, staff, board members, and the greater community to champion and help fund its educational mission. Every gift and every donor counts! What matters most is the act of giving that supporters demonstrate their support at whatever level possible. To learn more about Friends of HTA, contact Eric Collier at ecollier@myhta.org. Friends of HTA is currently seeking new board members. If you are interesting in joining the FoHTA board, please email Eric Collier at ecollier@myhta.org or complete the steps here. Thank you to Mr. Collins and his Calculus students for the design and fabrication of the surfboard.